FRS Training, FBD and the HSA are demonstrating Farm Safety Live at the Tullamore Show on Sunday 13th of August to show farming families how simply safety precautions can be applied, when you are shown how. Farm Safety Live will engage with the audience and bring three key farm hazard areas to life and deliver practical know how that can be applied back on the farm. The focus will be on Safe Livestock Handling, Safe PTO Operations and Safe Bale Handling. Pat Griffin Senior Inspector HSA, Amanda Brennan Branch Manager FBD Tullamore, Brenda Kiernan Chairperson Tullamore Show, John Kennedy Inspector Health and Safety Authority, Freda Kinnarney Operations Manager Tullamore Show, Jane Marks Marketing Manager FRS and Jim Dockery Training Manager FRS. Picture: Ger Rogers/HR Photo. Jim Dockery, FRS Training Manager and member of the Farm Safety Partnership, said “We are getting out there in front of farmers and their families to show them the safe way of doing everyday tasks on the farm. Sometimes it is the simplest thing that causes the horrific accidents and we want to put a stop to this and get everyone to farm more safely. 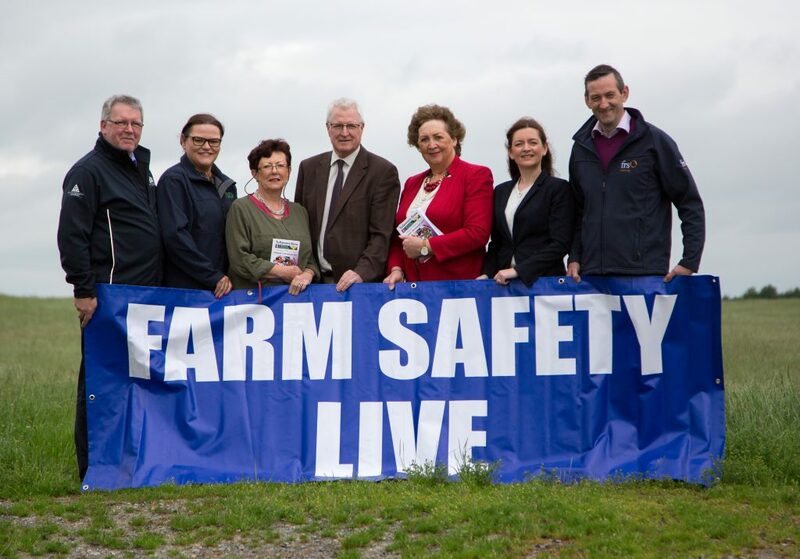 Make sure you give time to safety at the Tullamore Show and visit Farm Safety Live. Get involved and visit www.facebook.com/farmsafetylive for a chance to win complimentary tickets and to find out what you can expect to see on the day of the show. Visit www.tullamoreshow.com for more general show information.